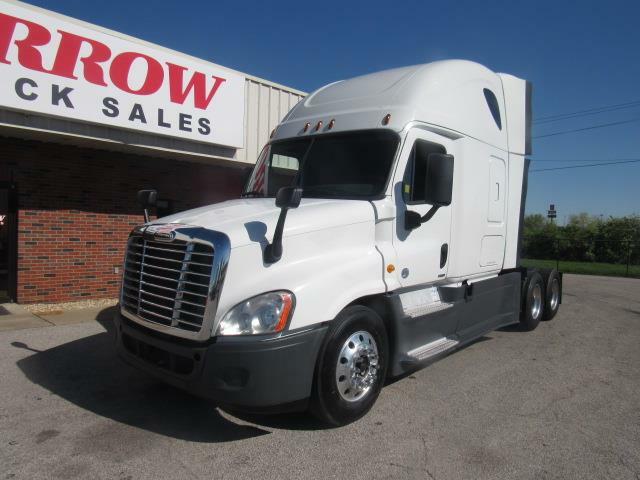 DETROIT POWER , DETROIT SHIFTED Most popular set up on the road, this 2014 FL Cascadia evolution is powered by the DD15 engine pushing 455hp paired with the fuel sipping 12 spd Detroit automatic. Double bunk, 72" sleeper , dual air ride seats, trailer brake and much , much more. Outside its wheel to wheel , aluminum rims, good rubber and with only 520k on miles, its a win win.